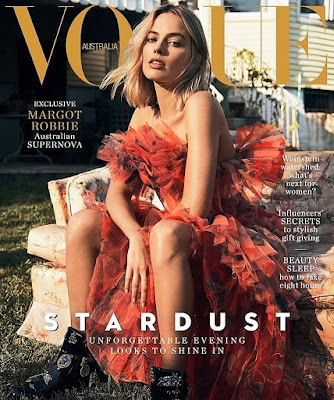 SNEAK PEEK: Margot Robbie In "Vogue"
"There's nothing I dislike more than being in a photo shoot where they say, 'Be yourself. '," said Robbie. "That's not why I became an actress. That's what I find so funny: that you become an actor, and all of a sudden, everyone wants to know about you. But I didn't become an actor so I could show you me. "I'd rather trust nine people and have the 10th one stab me in the back. I'd take that fall in order to have those nine friendships or working relationships instead of having none. "The most frustrating thing is picking up a script and loving the roles in it except the female ones... It's really annoying and something I've striven to change in the industry. "'Everything happens for a reason' is something that we have to tell ourselves all the time, because it's good to have the idea that something good is around the corner.